Difference between Application Manager and Application Master in YARN? I understood how MRv1 works.Now I am trying to understand MRv2.. what's the difference between Application Manager and Application Master in YARN? The terms Application Master and Application Manager are often used interchangeably. 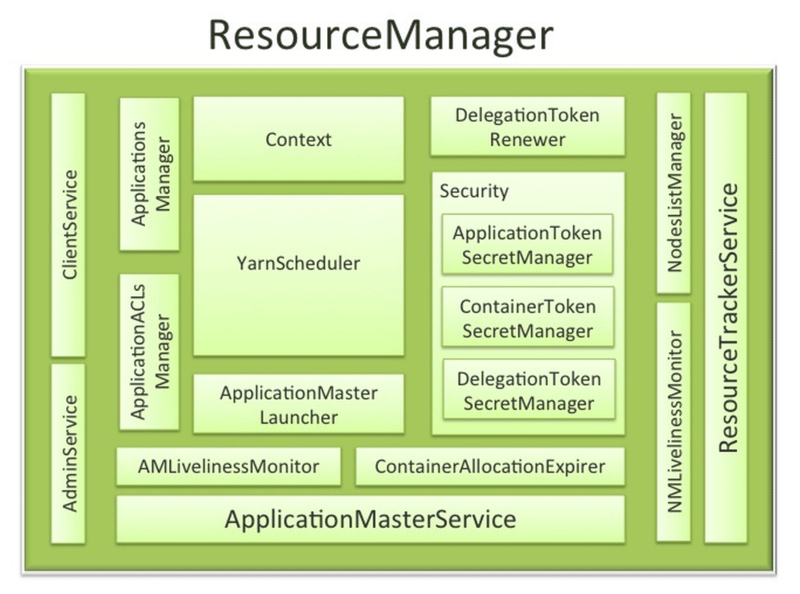 In reality Application Master is the main container requesting, launching and monitoring application specific resources, whereas Application Manager is a component inside ResourceManager. More details about Application Manager is given below. The ApplicationsManager is responsible for maintaining a collection of submitted applications. After application submission, it first validates the application’s specifications and rejects any application that requests unsatisfiable resources for its ApplicationMaster (i.e., there is no node in the cluster that has enough resources to run the ApplicationMaster itself). It then ensures that no other application was already submitted with the same application ID—a scenario that can be caused by an erroneous or a malicious client. Finally, it forwards the admitted application to the scheduler. This component is also responsible for recording and managing finished applications for a while before they are completely evacuated from the ResourceManager’s memory. When an application finishes, it places an ApplicationSummary in the daemon’s log file. Finally, the ApplicationsManager keeps a cache of completed applications long after applications finish to support users’ requests for application data (via web UI or command line). The configuration property yarn.resourcemanager.max-completed-applications controls the maximum number of such finished applications that the ResourceManager remembers at any point of time. The cache is a first-in, first-out list, with the oldest applications being moved out to accommodate freshly finished applications. Not the answer you're looking for? Browse other questions tagged hadoop mapreduce yarn or ask your own question. What is the difference between classic, local for mapreduce.framework.name in mapred-site.xml? What is the difference between a mapreduce application and a yarn application? difference between hadoop mr1 and yarn and mr2?